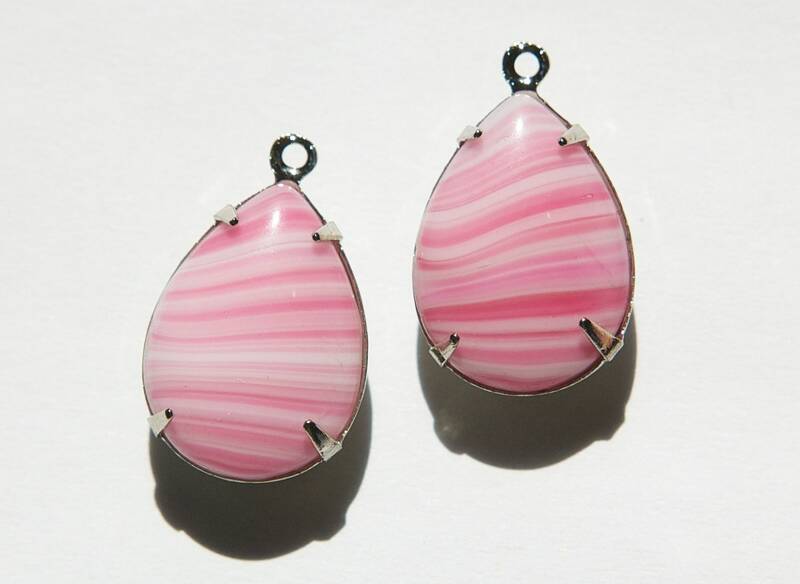 These are vintage opaque white teardrop glass stones set in a 1 loop silver plated setting. They have random stripes of pink. These stones measure 18x13mm. You will receive 2 pieces. I paired these lovelies with the silver tone heart studs - perfection! Fast delivery. Recommended seller. Good communication, beads were packaged up very well and were received quickly in excellent vintage condition. They are beautiful - thank you!